Just what does “late fall” really mean (aka when will Star Wars: Galaxy’s Edge actually open)? FAQs » Hollywood Studios » Just what does "late fall" really mean (aka when will Star Wars: Galaxy's Edge actually open)? Disney has announced that Star Wars: Galaxy's Edge will be opening "Late Fall" of 2019. We have compiled minutes of (not-so-very) complex research together to bring you the most accurate predictions possible of just when you can expect this highly anticipated addition to Hollywood Studios to open. Ready to find out more? Keep reading! The first thing we looked at when trying to narrow down a "Late Fall" window was the complex definition of what "fall" really means. Fall, as I'm sure you know, is one of the 4 main seasons. Other names you might also know this time of year by are "autumn", "football season", "thank goodness school is back in session" time, and "pumpkin latte" season. The problem, however, with having a season that is defined by so many different names is that you'll find that there are also an equal number of different start and end times for each one! So, which one does Disney use? Using complex algorithms and this highly scientific tool called "the Google", we determined that despite our thoughts that the majority of the world operates under the pumpkin latte season calendar, most do not. 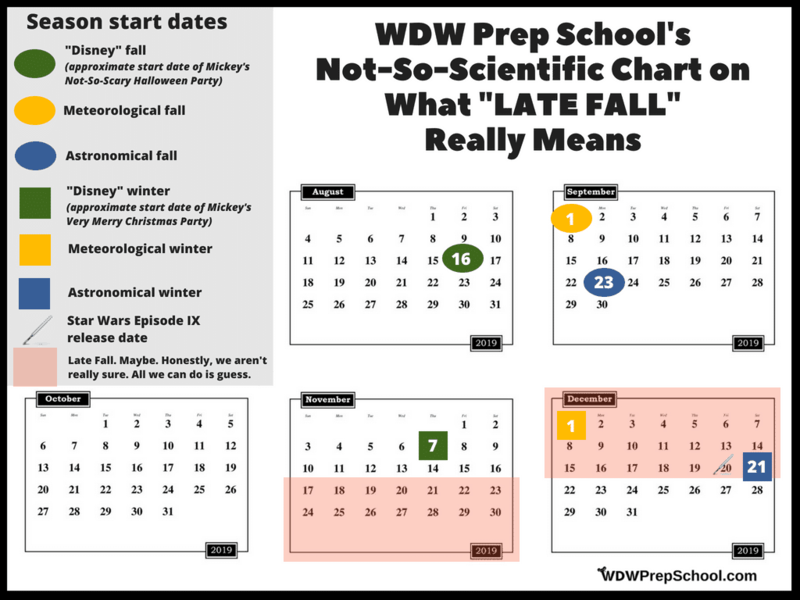 Instead, there are really 3 major times that are considered fall: Disney fall, astronomical fall, and meteorological fall. Disney fall?! Did she just say DISNEY FALL?! You see, Disney has created their own pseudo-season by the clever slating of their highly traditionally fall-themed Mickey's Not-So-Scary Halloween Party. Just by the mere scheduling of this party, they have pushed what was once a season that historically always began in September ahead an entire month into August. So, while the Astronomical Fall start date is based upon the position of the Earth in relation to the sun and the Meteorological Fall start date is set by the days on a calendar (so it doesn't fluctuate outside of leap years), Disney Fall is strictly determined by the start date of the first Mickey's Not-So-Scary-Halloween Party. So - with all that being said, just when would "Late Fall", well, fall? The truth is...we don't really know for sure but we think Disney is aiming to have it open late November or early December. Could it be earlier? Sure. Later? Yep. But late November, early December feels (again, highly scientific) like "Late Fall". AND - let's not forget, Star Wars IX has a release date of December 20th. And even though that sounds REALLY late, December 20th is still technically "fall" according to the astronomical seasonal calendar. 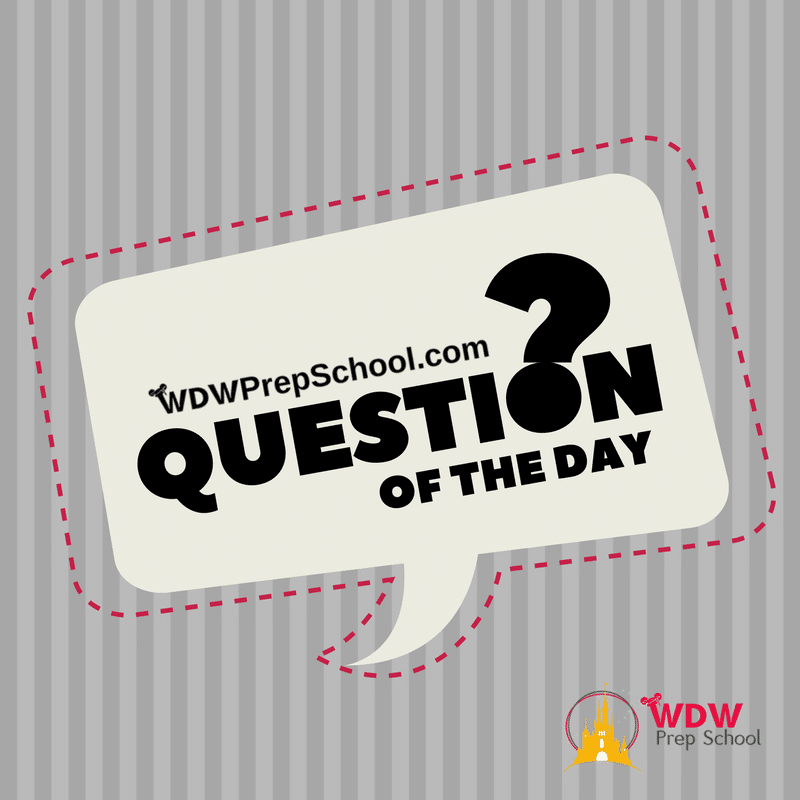 Here are some things that we are pondering but we don't really know for sure. 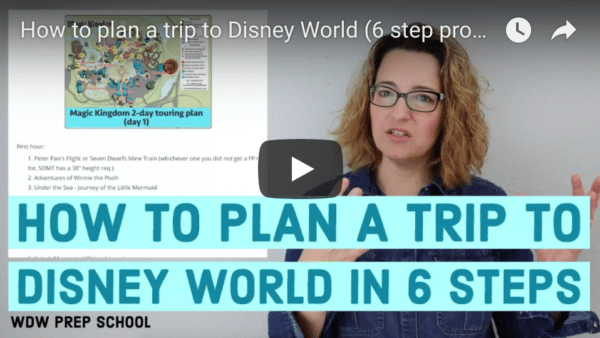 If traveling to Disney World for the opening (or close to the opening) is in your plans, you might want to file some of these things in the back of your brain, too. When will we know the actual opening date? We probably won't know a more definite date until spring or summer of 2019. What will this do to fall discounts? One thing the amazing agents over at Perfect Story Travel have been musing about is what this means for discounts. Fall is when the much anticipated Free Dining happens, so what will this opening do to that? Again - we can only guess, but it is something to think about. Will hotels sell out faster? And, what about bookings for 2019? Will more people book early in anticipation (as in, as soon as packages for 2019 are released)? Or will they wait until the actual dates are released? If you think you'd like to go ahead and book now, you can submit a quote with one of our agents and they will put your package together as soon as the 2019 prices are released. So - there you go. That's all we (don't really) know as of right now. One thing we *do* know for sure - all indications are that Star Wars: Galaxy's Edge will be amazing and we can't wait for it to open! Looking for latest Star Wars and Star Wars: Galaxy's Edge info? Check out our giant post on Star Wars at Disney World. Got the free dinning bounce back. I think it will be dec 20th. Yep less than a week from xmas. I’m booked dec18th till dec22. We already booked our bounce back for Dec 6-14 of 2019 ( current bounceback we just nabbed 2 weeks ago). I was on the fence about taking the September ( hurricane seasin) or Dec dates offered. November had NO offer dates. None. Zero. Zip. Zilch. We got the Boardwalk….crescent lake hotel. Game on!!! Think ur early. I got Caribbean think the sky gondola will help with quick access to HS. Dec20th. Maybe Dec13th.